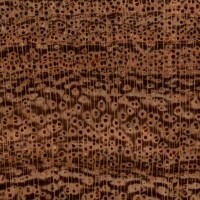 Color/Appearance: Heartwood tends to be a yellowish brown to dark brown, which darkens with age. 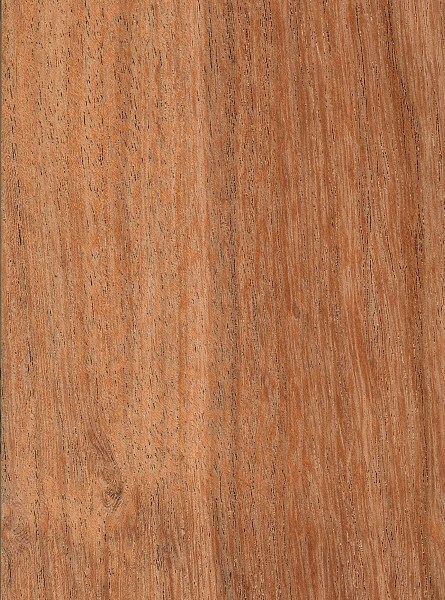 Sapwood tends to be narrow and is a pale yellow color. 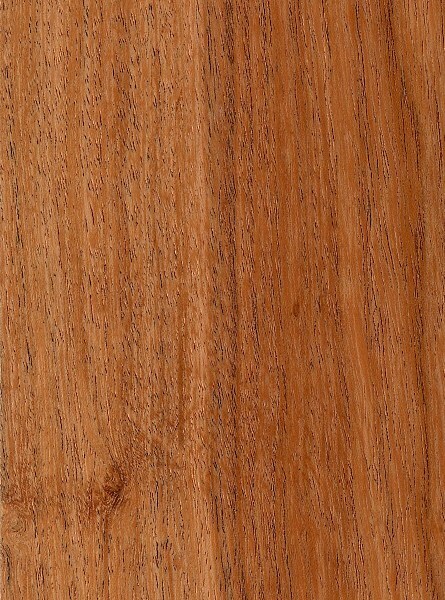 Grain/Texture: Prosopis juliflora has a medium to coarse texture and a slight natural luster. Grain tends to be straight or wavy. 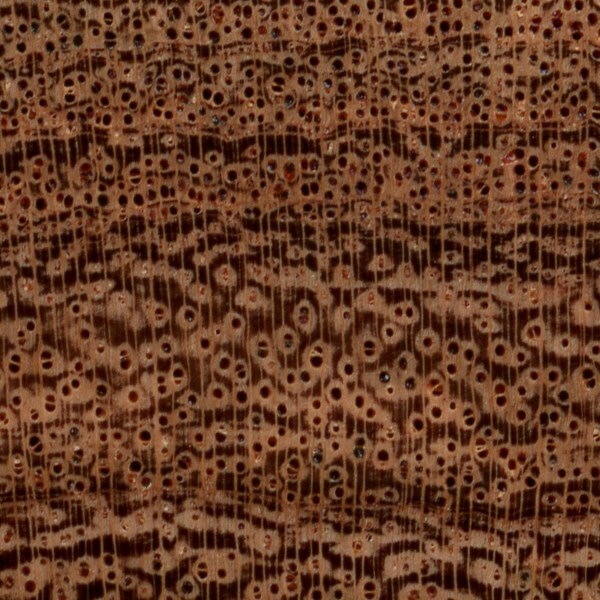 Endgrain: Diffuse-porous (or semi-ring-porous); medium to large pores in no specific arrangement, few to moderately numerous; solitary and radial multiples of 2-3; amber-colored deposits occasionally present; narrow to wide rays may be just barely visible without lens, normal spacing; parenchyma vasicentric, lozenge, confluent, and marginal. Rot Resistance: Prosopis juliflora is considered durable to very durable regarding decay resistance, though it is susceptible to insect attack. Prosopis juliflora has excellent weathering properties. Odor: Prosopis juliflora is said to have a fragrant odor while being worked. 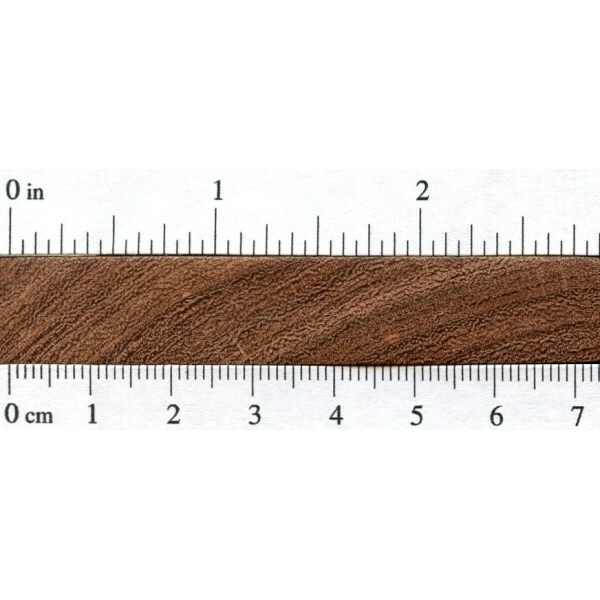 Pricing/Availability:Prosopis juliflora is only occasionally available in small sizes, or as large irregular slabs, and is sometimes sold under the generic name of “mesquite.”. Larger boards free from defects are uncommon. 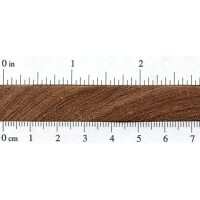 Prices for Prosopis juliflora are in the mid range for an imported tropical hardwood. Common Uses: Flooring, firewood, turned objects, cabinetry, and furniture. Comments: Prosopis juliflora is known by a multitude of common names, though not one of them seems to be predominant (or intelligible) in the United States. A very generic term that has been applied to this species is simply “mesquite”—though in the United States, the term usually refers to Honey Mesquite.